CQO XI will be held at the University of Rochester August 4-8, 2019. Topics of interest include all aspects of experimental and theoretical coherence, quantum optics, quantum information and quantum measurement. Two University of Rochester scientists have found a way of using powerful laser beams to make metal surfaces last longer and be more suitable for a wide range of practical purposes. 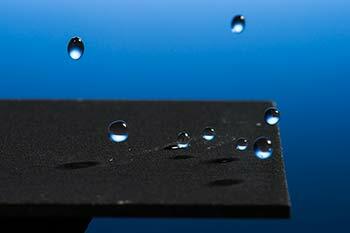 "We change the nature of the metal surface so that they can repel water," said Chunlei Guo, who is a professor of optics and physics at UR. In a paper featured on the cover of Nature, scientists have shown that it is possible to track these quantum trajectories and compare them to a recently developed theory for predicting the most likely path a system will take between two states. Researchers are uncertain about the National Science Foundation's intentions to extend a network dedicated to nanoscience and technology, such as efforts to grow nanocrystals. Researchers at the University of Rochester have measured for the first time light emitted by photoluminescence from a nanodiamond levitating in free space.